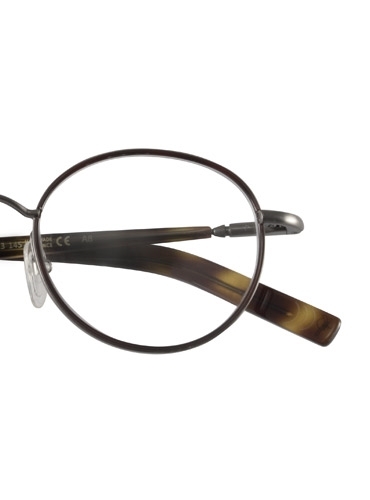 Elegant, nearly round metal frames from François Pinton of Paris. 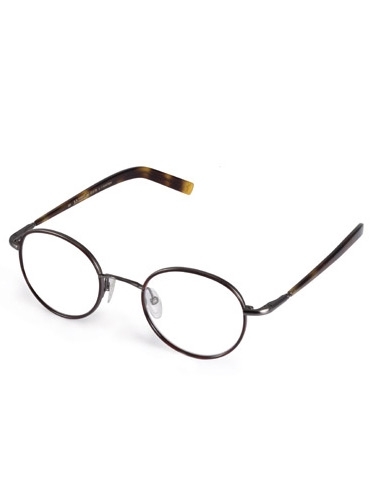 Features transparent nose pads and gently sloped temples for additional comfort. 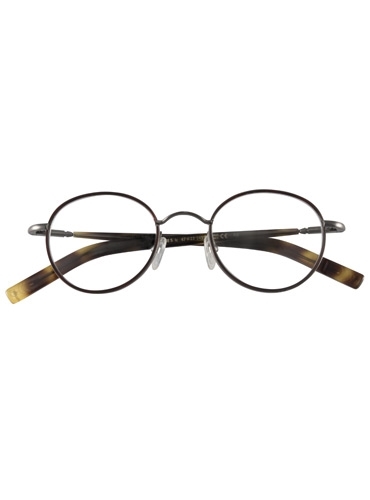 Shown in pewter metallic finish with chocolate rims and wood color temples. 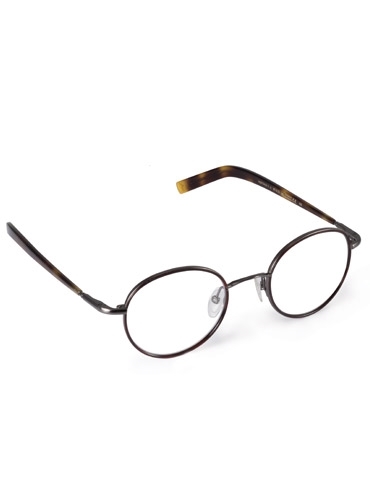 Lens: 47 mm; Saddle Bridge: 23 mm: Temples: 145 mm.